Hezbollah Secretary General, Sayyed Hasan Nasrallah during interview with Al-Mayadeen channel (Sat. Jan 26, 2019). 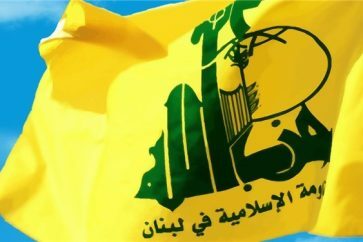 Israeli media was on Saturday following Hezbollah’s Secretary General, Sayyed Hasan Nasrallah’s interview with Al-Mayadaeen with high attention. 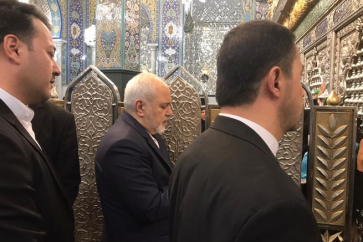 The long-awaited appearance of Sayyed Nasrallah broke more than two months of media silence in a three-hour interview with journalist Ghassan Bin Jiddo. Israeli TV channels offered live broadcast of the interview, as Israeli analysts sat to discuss Sayyed Nasrallah’s remarks shortly after the interview was finalized. “We are watching the live stream of the interview and we can see that the interview is not recorded in a deliberate move,” Rawi’i Qaiss, KAN News’ editor of Arabic affairs said, as reported by Al-Mayadeen on Sunday. “Nasrallah started the interview by denying rumors on his health condition. He is launching his usual physiological war,” Qaiss added. 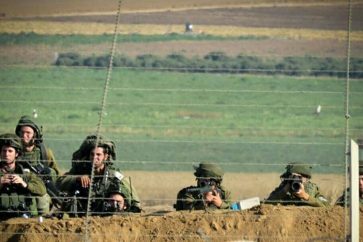 “Nasrallah talked about Israeli intelligence failure, and throughout the interview he repeated that Netanyahu and Eizenkot were lying on the Israelis,” Israeli commentator, Ehud Yaari, said in remarks on Israeli 12 channel, referring to Israeli PM and ex-chief of staff. 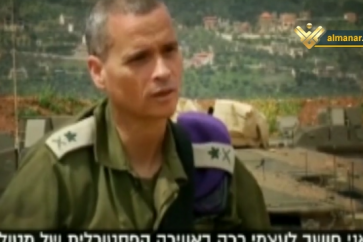 “Furthermore, Nasrallah appeared to be in a good mood and having a good sense of humor,” Yaari added. 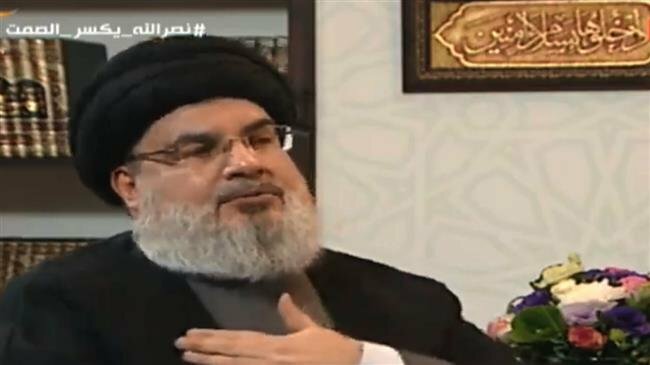 During Saturday’s interview, Sayyed Nasrallah, and as usual, included his remarks with some jokes. Even when he talked about the resistance capabilities, in what is seen as threats to Israelis, Sayyed Nasrallah said a joke. 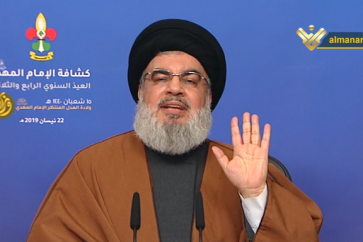 “It’s in the Israelis’ interest that Hezbollah possesses precision missiles so that only military targets will be hit and not civilians,” Sayyed Nasrallah addressed the Israelis with a smile.